Big serving Canadian Milos Raonic says Britain's Andy Murray will have to adjust his game when they meet in the last eight of the US Open in New York. The pair are scheduled to play in the last of five matches on Arthur Ashe Stadium on Monday. 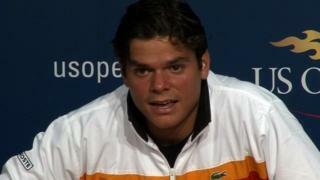 Raonic won their only meeting so far 6-4 7-6 on clay in the Barcelona Open in April.